Huawei MateBook E 2019 is the latest convertible to come out of Huawei’s stables with support for 4G LTE connectivity. The MateBook E 2019 is powered by the Snapdragon 850 and comes with a ton of features in a sleek 2-in-1 form factor such as support for fast charging, 4×4 MIMO multi-antenna technology, Huawei Share support for faster file transmission, and fingerprint sensor among others. The new member of Huawei’s MateBook series packs a touch-sensitive 2K IPS display with blue light filtering support and dual-speaker system with Dolby Atmos onboard for better audio output. The Huawei MateBook E 2019 has been launched in China, but there is no word from the company when the new convertible will make it to other markets. The Huawei MateBook E 2019 has been listedon Vmall in China carrying a price tag of CNY 3,999 (around Rs. 41,000) for the base variant with 256GB of internal storage. There is also a higher end version of the Huawei MateBook E 2019 which comes with 512GB of internal storage and it is priced at CNY 4,999. (roughly Rs. 51,000). Both the devices are now up for pre-order in China. As for the colour options, it comes in Titanium Ash and Charm Sea Blue variants. 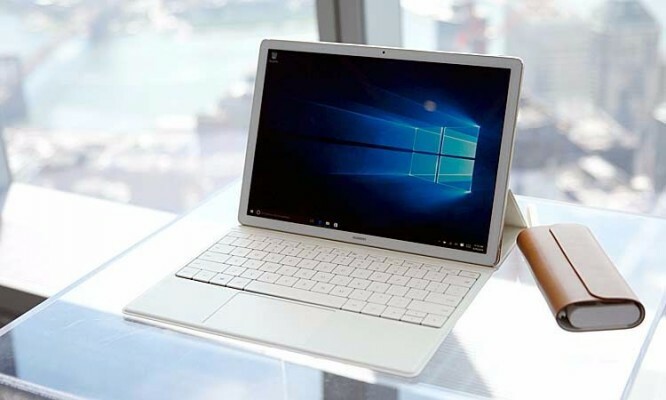 The Huawei MateBook E 2019 – an upgraded version of the original MateBook E launched back in 2017 – comes equipped with a 12-inch 2K (2160×1440 pixels) IPS display with 160-degrees viewing angle, 350 nits peak brightness, and a layer of anti-fingerprint coating on top. The display comes with TUV Rheinland Low Blu-ray certification, which means it can cut down on blue light exposure and reduce eye fatigue. The new Huawei offering is powered by the Qualcomm Snapdragon 850 paired with 8GB of RAM and the Adreno 630 GPU to handle graphics-intensive tasks. The storage capacity varies between 256GB and 512GB of UFS storage. The Huawei MateBook E 2019 comes with a single USB Type-C port for charging and file transfer, a Nano-SIM card slot for facilitating 4G LTE connectivity, a 3.5mm headphone jack. Wireless connectivity is handled by Bluetooth 5.0, Wi-Fi 802.11 a/b/g/n/ac (with support for 5GHZ 2×2 MIMO standard). The device has support for Gigabit LTE speeds and also comes with Huawei Share compatibility for fast file transmission.